Photos of Michigan City, Indiana, located on the shores of Lake Michigan in northern LaPorte County in Northwest Indiana. 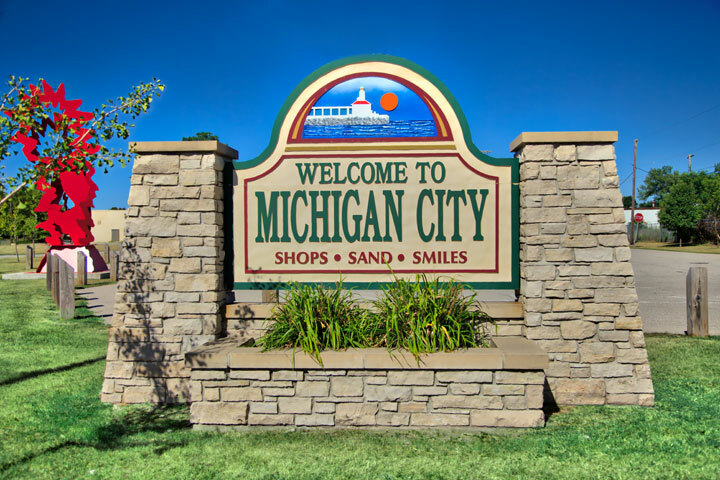 Michigan City has a fantastic lakefront park and beach that features a historic and popular lighthouse. Washington Park has a zoo, plenty of places to eat and picnic, parking is plentiful, and there is shopping nearby at the Lighthouse Outlet Mall. The arts district is a growing area in the city’s historic downtown district along Franklin Ave.
Popular photos of Michigan City, Indiana include the Michigan City Lighthouse, Washington Park, Mount Baldy, the Indiana Dunes National Lakeshore, the historic Arts District, and more.